Ron Clark Ford and Jayco RV Wyoming, ON's automotive expertise is a product of our sustained interest in industry trends and characteristics. We are privileged to share the latest news, promotions and events with you and hope the information will enhance your shopping experience. As you know, there are many new cars from which to choose, and we believe an informed customer is the best customer. 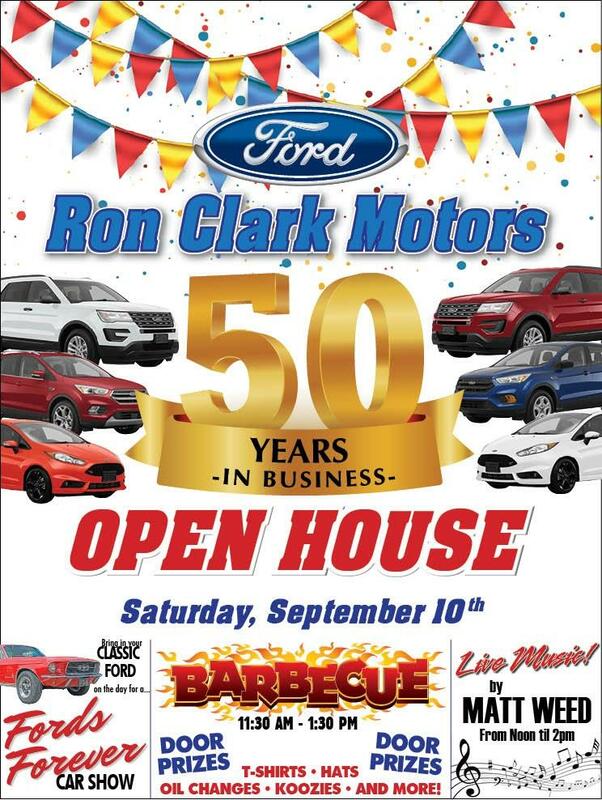 RON CLARK MOTORS IS TURNING 50!! Join us for our OPEN HOUSE on SATURDAY, SEPTEMBER 10th and enjoy live music, free bbq and a special classic car show. Plus many door prizes and giveaways. Ron Clark Motors is located in Wyoming, ON.